Dr. 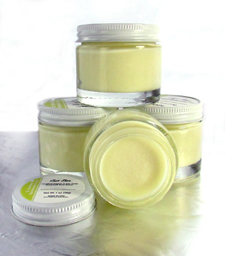 Bubbles body balms & lotions soften, soothe and rejuvenate your skin. 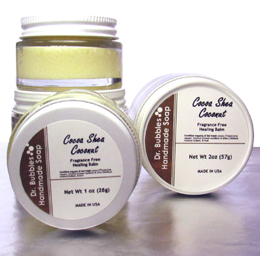 If you have callouses, cracked skin, dried cuticles or any other skin conditions caused by life, our all natural moisturizers and skin balms can help. 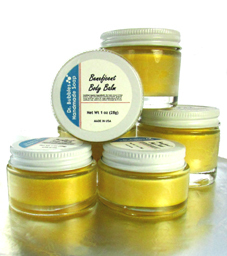 Made with vegetable oils and butters that are known to soothe and regenerate tired overworked skin, they provide relief from environmental stresses on the skin. If that weren't enough, they come in heavenly fragrances made with essential oils to soothe your soul. Organic, fair trade, vegan, GMO and cruelty free. Safe for every age.